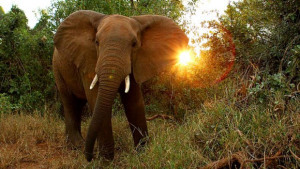 South Africa’s Kruger Park Loses its First Elephant; Kenya Loses an Icon. 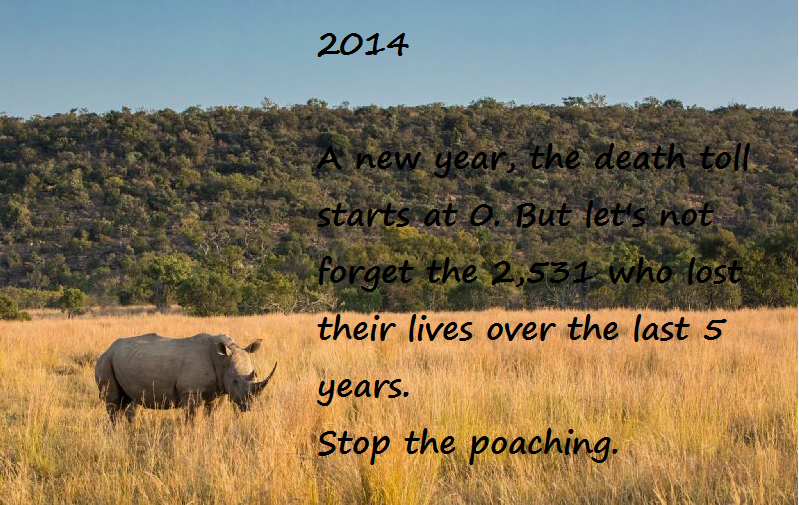 With poaching taking its toll on 383 rhinos so far this year, South Africa is not new to the epidemic. But with rhino horn worth twenty times more than ivory, elephants haven’t been poached in the country for a decade… until now. 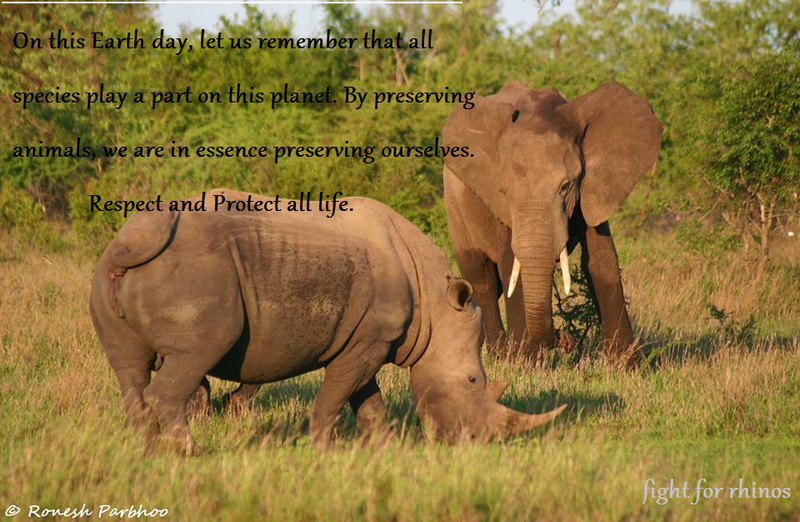 In 2012 there were 16,700 elephants in Kruger National Park. On Thursday, rangers found the dead bull elephant with missing tusks. They noted four sets of footprints leaving the park headed toward Mozambique. Unfortunately this would be just “one more elephant” if it were Zimbabwe or Mozambique. But with the start of it in SA, this is devastating news. Proof of things to come. Early ornithologists noted changes in the birds based on the different seasons, references to migration date back to 3000 years ago when Aristotle postulated the phenomenon of birds disappearing and reappearing every year at the same time. He noted cranes travelled from the steppes of Scythia to the marshes at the headwaters of the Nile, and pelicans, geese, swans, rails, doves, and many other birds likewise passed to warmer regions to spend the winter. Aristotle can also lay claim to many of the superstitions that surround bird migration, as he concluded that birds hibernate during the cold months as well as what he termed transmutation, the theory of transmutation is the seasonal change of one species into another. Frequently one species would arrive from the north just as another species departed for more southerly latitudes. From this he reasoned the two different species were actually one and assumed different plumages to correspond to the summer and winter seasons. We have come a long way from the days of Aristotle and research these days mainly focus on the way birds navigate their way around, they are able to fly in a particular constant direction, regardless of the position of the release point with respect to the bird’s home area. It has also been shown that birds are capable of relating the release point to their home area and of determining which direction to take, then maintaining that direction in flight. 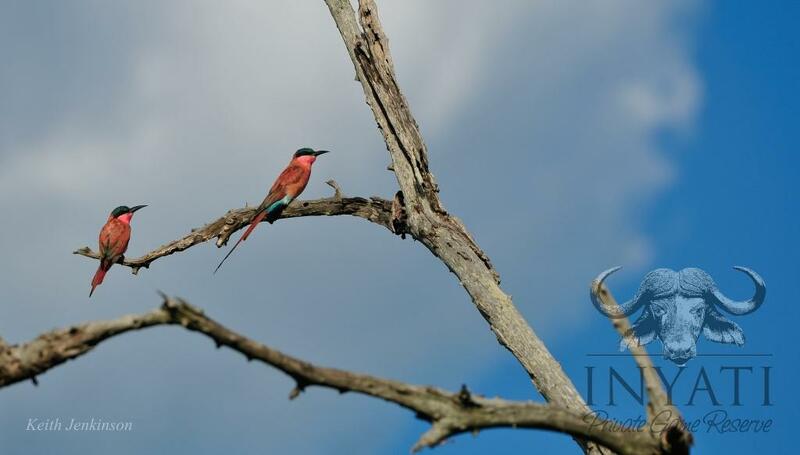 The navigational ability of birds has long been understood in terms of a presumed sensitivity to both the intensity and the direction of the Earth’s magnetic field. It has also been suggested that birds are sensitive to forces produced by the rotation of the Earth (Coriolis Effect); however, no sense organ or physiological process sensitive to such forces has yet been demonstrated to support this hypothesis. Experiments have shown that the orientation of birds is based on celestial bearings. The Sun is the point of orientation during the day, and birds are able to compensate for the movement of the Sun throughout the day. A so-called internal clock mechanism in birds involves the ability to gauge the angle of the Sun above the horizon. Similar mechanisms are known in many animals and are closely related to the rhythm of daylight, or photoperiodism. When the internal rhythm of birds is disturbed by subjecting them first to several days of irregular light/dark sequences, then to an artificial rhythm that is delayed or advanced in relation to the normal rhythm, corresponding anomalies occur in the homing behaviour. Two theories have been formulated to explain how birds use the Sun for orientation. Neither, however, has so far been substantiated with proof. One theory holds that birds find the right direction by determining the horizontal angle measured on the horizon from the Sun’s projection. They correct for the Sun’s movement by compensating for the changing angle and thus are able to maintain the same direction. According to this theory, the Sun is a compass that enables the birds to find and maintain their direction. This theory does not explain, however, the manner in which a bird, transported and released in an experimental situation, determines the relationship between the point at which it is released and its goal. The second theory, proposed by British ornithologist G.V.T. Matthews, is based on other aspects of the Sun’s position, the most important of which is the arc of the Sun, for example the angle made by the plane through which the Sun is moving in relation to the horizontal. Each day in the Northern Hemisphere, the highest point reached by the Sun lies in the south, thus indicating direction; the highest point is reached at noon, thus indicating time. In its native area a bird is familiar with the characteristics of the Sun’s movement. Placed in different surroundings, the bird can project the curve of the Sun’s movement after watching only a small segment of its course. By measuring maximum altitude (the Sun’s angle in relation to the horizontal) and comparing it with circumstances in the usual habitat, the bird obtains a sense of latitude. Details of longitude are provided by the Sun’s position in relation to both the highest point and position it will reach as revealed by a precise internal clock. Migrant birds that travel at night are also capable of directional orientation. Studies have shown that these birds use the stars to determine their bearings. In clear weather, captive migrants head immediately in the right direction using only the stars. They are even able to orient themselves correctly to the arrangement of night skies projected on the dome of a planetarium; true celestial navigation is involved because the birds determine their latitude and longitude by the position of the stars. In a planetarium in Germany, blackcaps and garden warblers, under an artificial autumn sky, headed southwest toward their normal direction; lesser whitethroats headed southeast, their normal direction of migration in that season. Altitudinal migrants– Species that tend to follow rainfall patterns up the varying altitudes. 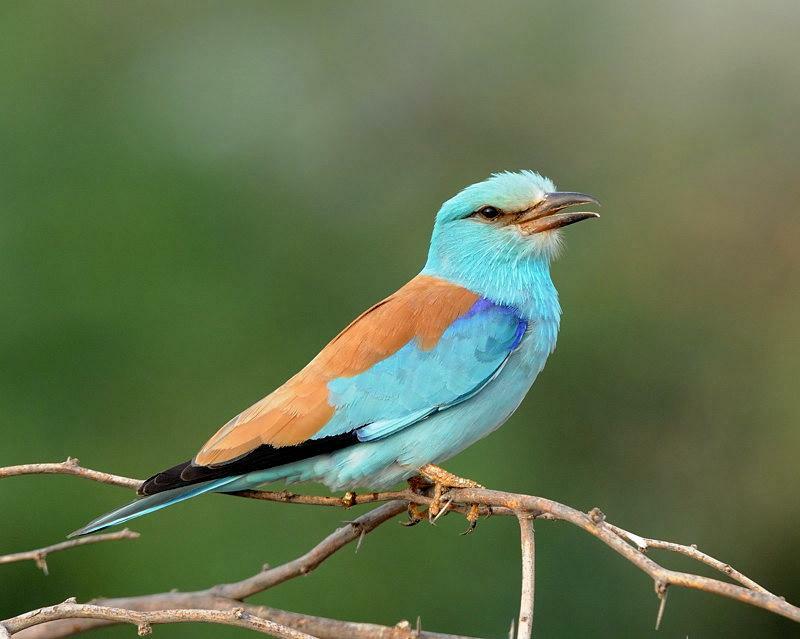 An example of one of our migratory species is the European Roller (Coracias garrulus) is the only member of the roller family of birds to breed in Europe. Its overall range extends into the Middle East and Central Asia and Morocco. There are two subspecies: the nominate garrulus, which breeds from north Africa from Morocco east to Tunisia, southwest and south-central Europe and Asia Minor east through northwest Iran to southwest Siberia; and semenowi, which breeds in Iraq and Iran (except northwest) east to Kashmir and north to Turkmenistan, south Kazakhstan and northwest China (west Xinjiang). 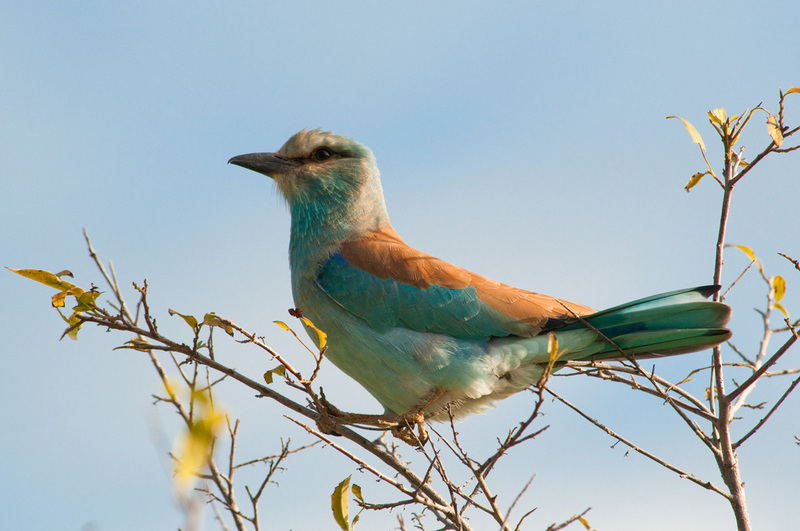 The European Roller is a long-distance migrant, wintering in southern Africa in two distinct regions, from Senegal east to Cameroon and from Ethiopia west to Congo and south to South Africa. It is a bird of warm, dry, open country with scattered trees, preferring lowland open countryside with patches of oak Quercus forest, mature pine Pinus woodland with heathery clearings, orchards, mixed farmland, river valleys, and plains with scattered thorny or leafy trees. 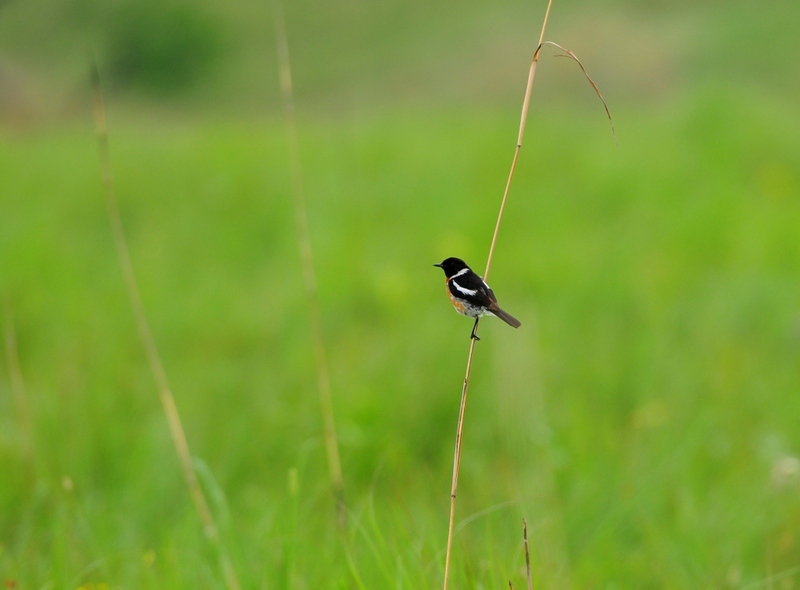 It winters primarily in dry wooded savanna and bushy plains, where it typically nests in tree holes. The European Roller is a stocky bird, the size of a Jackdaw at 29–32 cm in length with a 52–58 cm wingspan; it is mainly blue with an orange-brown back. Rollers often perch prominently on trees, posts or overhead wires, like giant shrikes, whilst watching for the large insects, small reptiles, rodents and frogs that they eat. The European Roller (Coracias garrulus) is the only member of the roller family of birds to breed in Europe. Its overall range extends into the Middle East and Central Asia and Morocco. The word migration comes from the Latin migratus that means “to change” and refers to how birds change their geographic locations seasonally. 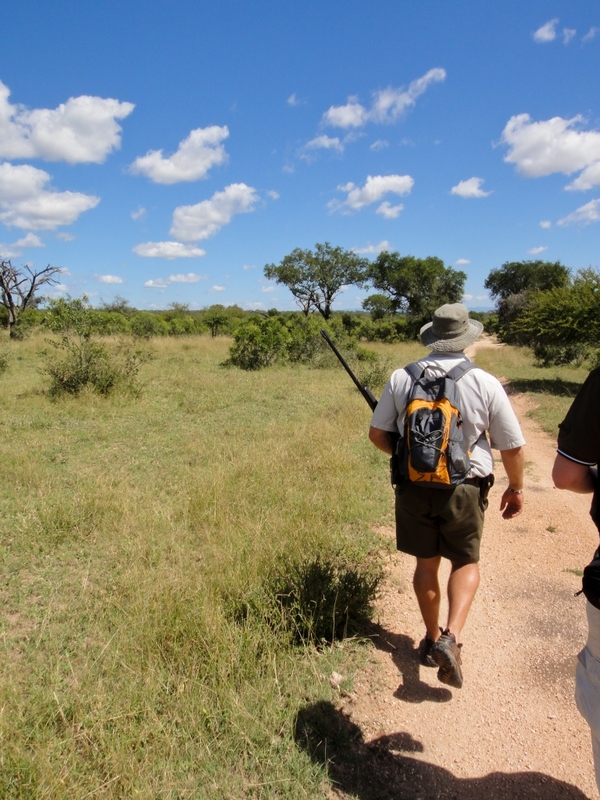 Walking is my favourite activity on offer in the bush, I feel that you get a much more personal experience and that the special moments come thick and fast. I recently took a walk that holds out for me as one of the most exciting walks I’ve ever been on in a long while. I think I need to give you a bit of background first. Walks tend to be less big animals and more an opportunity to walk in the bush and get a feeling for the environment on a very personal level. So most guided walks tend to be in slightly more open areas and they concentrate on the smaller aspects of the bush that would escape you in a game viewer, like the tracks, tree’s and flowers. On this particular morning I had quite a large group on the walk with me and I had decided to walk from hippo dam, which is to the west of the lodge and south of the Sand River. Inyati’s position on the river means that pretty much anywhere we walk is very thick. So as a trails guide we use other mechanisms to identify that there are animals around us on the walks. 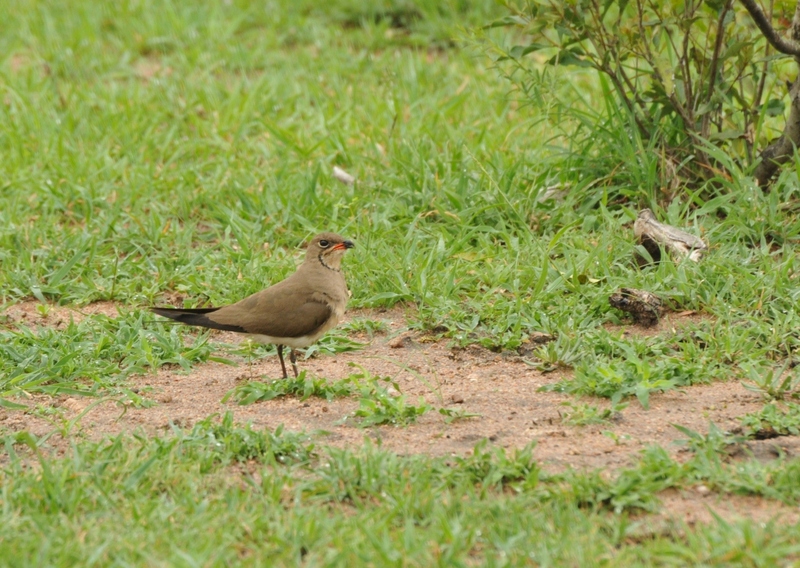 Things we like to identify are tracks and signs, Red-Billed Oxpeckers and any noise that might give away an animal. On this particular morning I was slowly navigating my way through the drainage line and the confluence of the sand river close to the lodge, when I noticed a single set of buffalo tracks. I then got the guests around me and got them down on their knees as we were going through the steps of trying to identify what it was. While I was pointing out its features I realised just how fresh the track was, aging can be a tricky process but let me assure you when I say that if the track is still crisp on a blustering day then it is fresh. I then rapidly concluded what I was telling the guests and added that the track was very fresh, I pointed out that in the area we were in the buffalo would have the upper hand and so I turned 90 degrees away from the track and was preparing to loop around it. The buffalo had other ideas though and had cut back on itself right into our pathway. So as I was moving down into the Madje Mbhirri drainage line, I noticed about a hundred meters in front of the group, the distinct shape and curve of the dagga boy’s horns whose tracks we had moments before been inspecting. The situation could not have been more perfect for us. There was a giant termite hill that would give us the best view and safest options and so I moved the group onto the mound and got them all seated. The buffalo was exhibiting beautiful behaviour that gives them their reputation for being dangerous; He was lying up on the bank of the river in the shade of a tree. He had no idea we were there watching him. While he gently ruminated in the cool of the shade I explained as much as I could remember on buffalo as the moment had got me excited which tends to cause me to babble a lot. After half an hour we slowly got up and snuck out of the area and around him and continued back towards the lodge. The excitement wasn’t over though because the pan just west of the lodge always attracts animals and as we came to the edge of the treeline we noticed a big bull elephant wallowing in the mud and spraying himself. He was there for at least 20 minutes and we enjoyed his antics. He made it clear that, that was to be his morning activity and so when I started to hear the guest’s stomach grumbling for a well-earned brunch I got the group moving and we moved down onto the river and walked past the hippos lazing in the water and finally crossed onto the lawns of the lodge. The reason why I loved this walk so much is that we engaged with these animals and they were unaware of our presence, we viewed them in exactly the manner they would be acting if we weren’t there and so got to see a truth, a perfect moment in those animals behaviour. 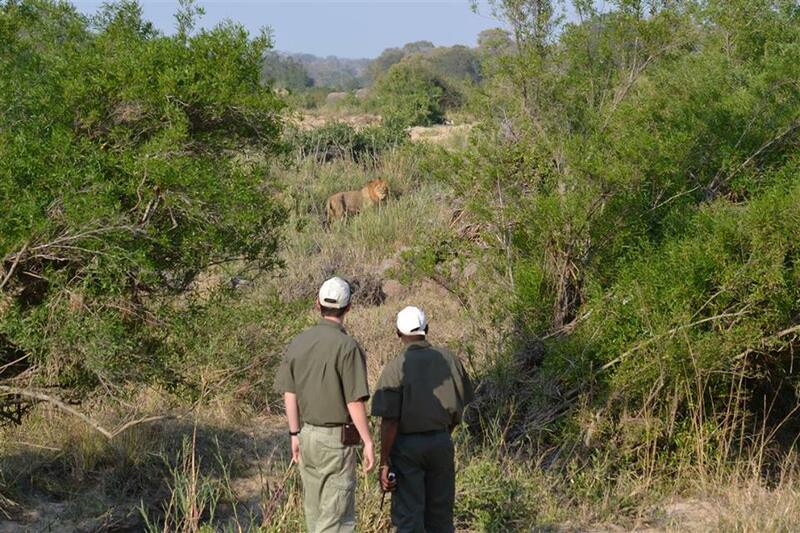 It is why walking has become my firm favourite thing to do in the bush with guests. 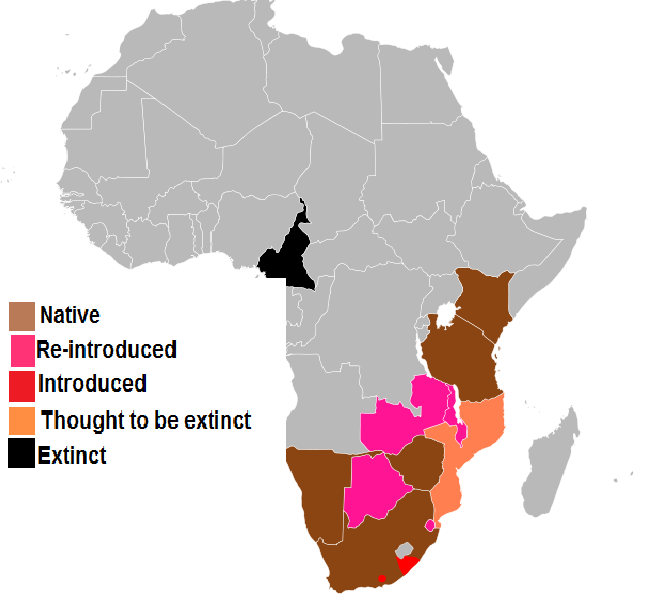 Is the Black Rhino Extinct? 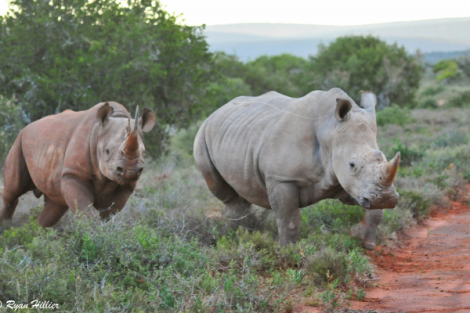 The Black Rhino and White Rhino are indigenous to Africa. Within those two species are sub-species. This is where the confusion lies. 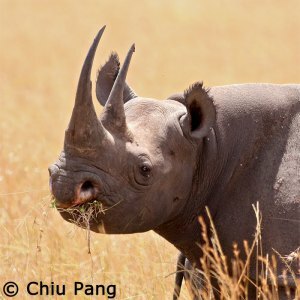 One of the sub-species of the Black Rhino was the Western Black Rhino. 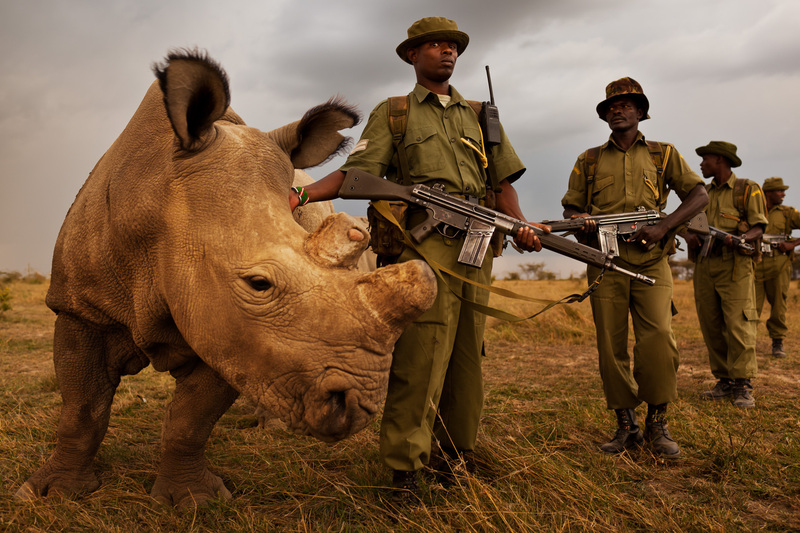 This group is thought to be extinct. They were last seen in Cameroon area, and pronounced extinct in November of 2011.